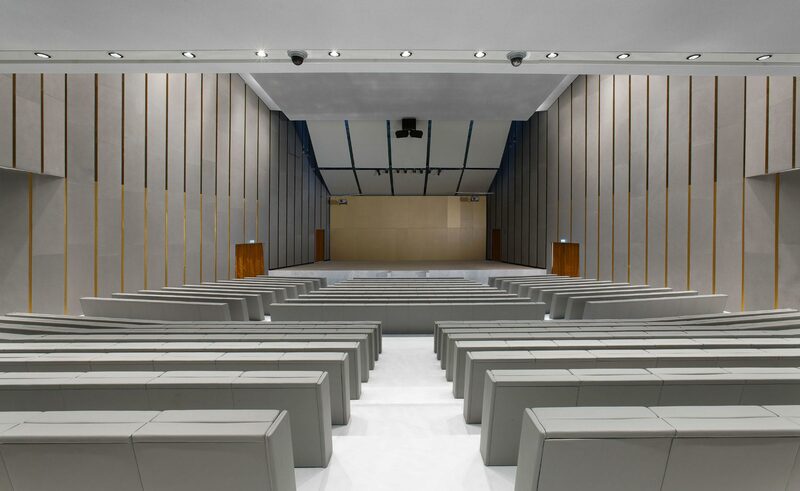 The ensemble of slabs of thin, tongued aluminium panels feels as if the walls are raised from the floor in the new great hall of the Bocconi University. The rectangular shapes, which fit onto the metallic support using special glues, are only five millimetres thick. 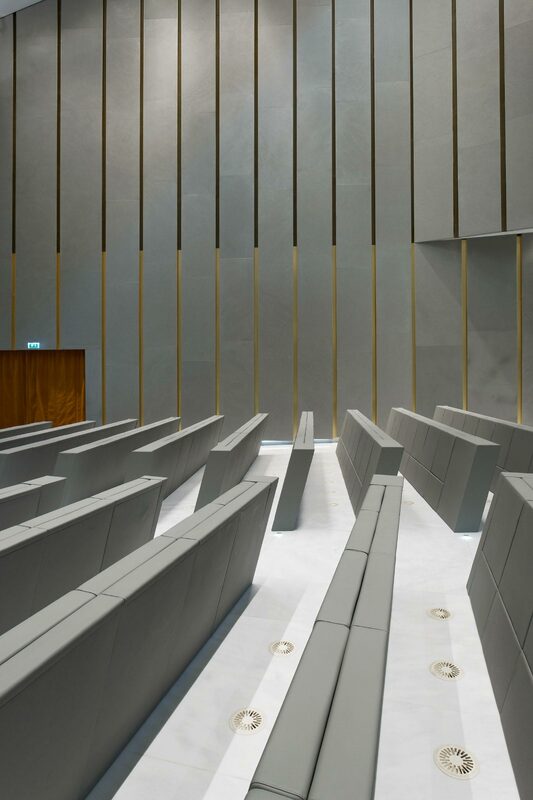 In this project by Grafton Architects, the geometry of every element within the room is clean and linear; the chair seats close very precisely on the chair backs, creating volumes without protrusions. 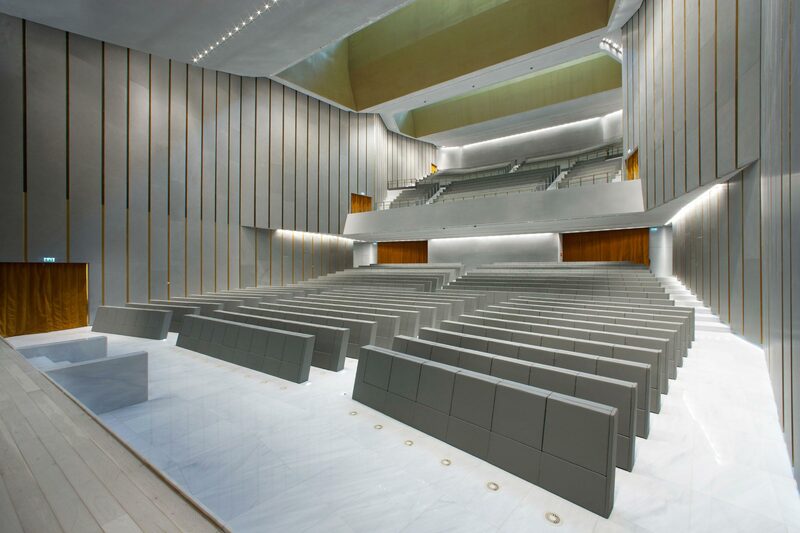 The hall is bi-chromatic, through the use of rust-coloured inserts against a predominance of grey. 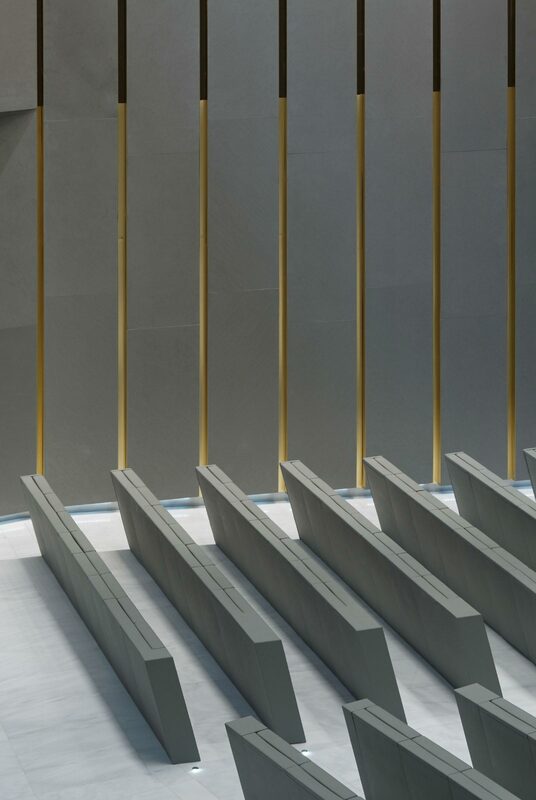 The tonality of Pietra Forte Fiorentina is set alongside the similar colours of the floor tiling and that of the plastered areas on the ceiling and walls. So precisely the stability of the colour and the lack of different chromatic elements allows the stone to be combined in many different ways. The thousand seats are spread over two levels, organised in one band that is closer to the stage, and the other which is further away.